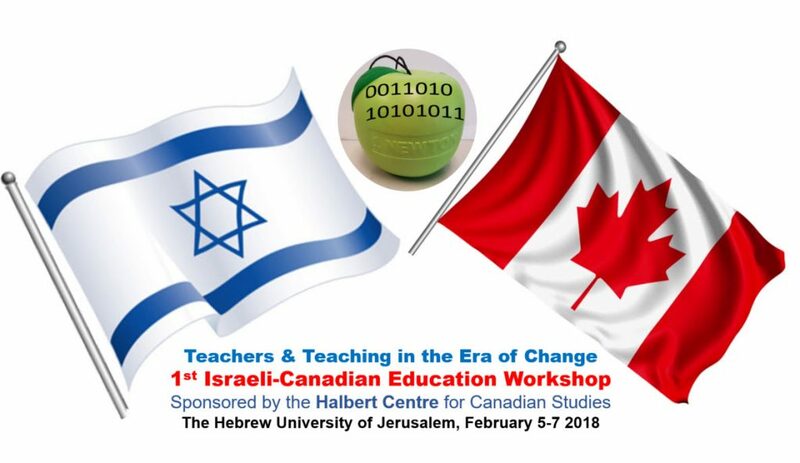 On February 5-7 2018, a group of Israeli and Canadian educators will meet at the Hebrew University of Jerusalem to participate in an interactive workshop that will explore how technology may shape teaching and teacher education. We decided to call it “Teaching and Teaching in the Era of Change”. The workshop was funded by the Halbert Center for Canadian Studies at the Hebrew University of Jerusalem. Dr. Dragana Martinovic from the University of Windsor in Canada (Co-PI). Teachers nowadays face unprecedented challenges. The world is in constant flux: there are enormous socio-political changes, trends of globalization, massive worldwide immigration, and rapidly-emerging life-altering technologies. Consequently, there is a growing expectation that the 21st century teachers will have ample opportunities to re-examine their teaching philosophies, and adjust their pedagogical practices in view of the role digital technology plays and should play in supporting student learning. These expectations present significant challenges to teachers, who are often asked to implement novel (technology-rich) pedagogies they did not have a chance to experience as students or become comfortable with. To exacerbate the problem, the 21st century teachers function not only in a frequently-changing educational reality manifested by continuous reforms, but are also bombarded by often contradictory and competing demands from the legislators, administrators, parents, and students. How do we break the vicious circle of reforms and support teachers in making a real change in student learning? This proposed 3-day workshop will bring together researchers from Israel and Canada to the Hebrew University of Jerusalem to discuss the challenges today’s teachers and teacher-educators face in their practice. Technology has a potential to empower teachers in this era of change. Informed by the latest research findings, we will explore current pedagogical trends and practices in both Israel and Canada, and discuss ways to unleash the potential of technology to support teacher education, teaching practices, and professional development. As a followup of this workshop, we will propose a similar workshop in Canada with invited presenters from Israel, and will work on an edited book with selected publications from the workshop. For workshop information please contact Dr. Marina Milner-Bolotin: marina.milner-bolotin(at)ubc.ca.